Like any international move, Moving from France to Italy requires a little preparation. A move to a new location can be a daunting experience. So it’s always useful to have a little information about your destination upfront. Intlmovers is a great way of finding international moving companies that can help you with your international Moving from France to Italy. Using Intlmovers is one of the most convenient methods of finding the best mover to meet your needs. You can save both time and money. Intlmovers allows you to compare quotes quickly and easily from up to six international moving companies at once! The movers have years of experience with Moving from France to Italy. 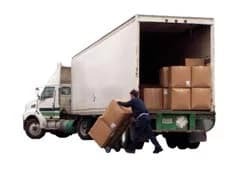 They have contacts in Italy which can make your removal cheaper. Italy conjures up images of incredible food and tempting wines. There is also the much-loved convention of Passeggiata, its scenic beauty and so much more. Expats who want to live and work in Italy should know a few essential aspects about Italy. EU-citizens do not need a work permit when they want to work in Italy. Foreign nationals must apply for a Permit to Stay (Permesso di Soggiono) after they arrive in Italy. They should go to the post office to get a “kit” and fill in the attached forms to apply for the Permit to Stay. But this is not the same as the residency which you apply for at the city hall (commune). You can only sign and date your kit once you receive an approval from the postal worker in Italy. After that, you must pay €14.62 for a revenue stamp in the local tobacconists. After that, an ID and Password will be included in a receipt. Your Permit of Stay will arrive in the form of a digitized card. Italy uses both public and private health service systems. The Italian public health service, Servizio Sanitario Nazional (SSN), offers free or low-cost service to residents. For French residents you can take advantage of reciprocal health agreements. Foreign national prefer the private healthcare to public healthcare in Italy. Private healthcare in Italy is well-known for its well-trained doctors and reputable hospitals in large cities. The international movers partnering with Intlmovers are all highly reputable professionals. They are industry specialists from the world of shipping and logistics. Their experienced skills have a proven customer service record in the industry. They have expertise in both personal and business shipping. Enjoy a stress free move, and relax knowing that your shipment is being well managed throughout your international move. Take advantage of the extensive levels of international moving company professional experience. Enjoy moving from France to Italy. Receive up to six international moving quotes with one single request on Intlmovers. Make your decision making process so much easier! Even though you can receive up to six quote responses, remember that you are under no obligation to accept any of them. Take your time, and evaluate the responses that you have. Compare services, compare costs, and make sure that you are happy with the information that has been provided to you. Make your selection from there for your moving from France to Italy. When you use Intlmovers to compare quotes, it’s both cost free and obligation free!